Once you have completed the training program required to become a Certified Nursing Assistant (CNA), you will need to take the CNA exam to earn a license. In order to pass this test, you will need to have a good grasp on the information you learned while going through the training program. The Certified Nursing Assistant exam is made up of two sections. One section is the written examination, and the other is the clinical skills test. You will need to pass both sections, each with a 70% or higher score. The written portion will be multiple choice and will be taken on a computer. The clinical skills test will be performed in front of an evaluator. You will demonstrate the skills for the evaluator, making sure to correctly show the critical duties of each skill you are demonstrating. Depending on your location, the CNA skills test may cover three to six different practices required of nursing aides. 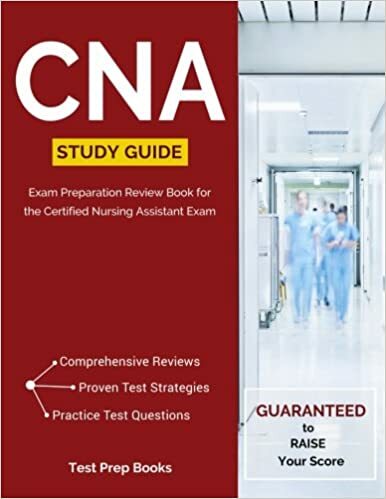 Although there may only be a few skills which are needed to show proficiency during this portion of the test, aspiring nurses should know that the test designators can choose from around thirty different practical tasks that Certified Nursing Aides should be able to perform. If you’re preparing for the CNA skills exam for the first time, we recommend you watch this quick video with tips to help you prepare for exam day. These tests are conducted in a clinical setting and replicate a sample patient experience. Thus, it is important to have a strong grasp of all hands-on skills that you may have to demonstrate competency in. Actual “patients” or “clients” are utilized within this testing scenario. It will be important to interact with and speak with that subject as if they are a real patient. Test takers should brush up on the proper way to wash hands. Nursing aides will be expected to perform proper sanitary practices, including disposing of waste. Cleanliness is not only required of the aide but also the patient. Before going in to take the skills test, it is critical to make sure you carry a positive attitude and demeanor. This may go along way on the examination portion of the test also; potentially showing the examiner that the patient is in good hands. Just like the skills that are needed to pass the CNA skills test, communication can be practiced each time the prospective nursing aide is in a position to do so. While more direct skills like moving patients from bed-to-bed and placing in the correct body position demand a thorough understanding by a Certified Nursing Aide, they should also understand that patients benefit from kindness and care as well. On top of this, anticipating what is required during each duty without having the examiner step in may potentially impress those watching, including the patient. It is important to understand that the test is practical and there are reasons for being proficient in what is needed by a Certified Nursing Aide. Not only will this make for a better CNA, but a safer one as well. Different states utilize different testing providers, and these testing providers may test you on different skills. Testing providers by state are listed below, followed by the list of skills tested by each provider. Preparation for becoming certified and passing the skills test will occur during on the job training. Despite having prior exposure to these potential test requirements, potential nursing aides must have the ability to practice the skills outside of the healthcare facility before being asked to do them in front of an examiner. These skills are not simply to demonstrate the ability of the test taker, but are required for the proper care of those in need. Therefore, it is recommended that applicants for certification do their homework before going in to take the test. One good way to brush up on these hands-on patient/client skills is to watch CNA test skills videos. A listing of some of the videos can be found here. It is a good idea to spend some time performing the critical skills you will need to know as a CNA. To do so, you can practice with family or friends to get comfortable performing these tasks on clients. Put together a checklist and give it to your friend or family member prior to starting. List each step required for a particular skill and have that person let you know if you miss a step. Practice at home, at school, at work, etc. You want these skills to become second nature to you, prior to even taking the exam. Practice the steps for each of them often. Your attention to the patient, their rights, their safety, and their needs should be your priority. During the actual exam, the evaluators are going to be watching to make sure you are attentive to your patient’s needs. Because you will need all the hands-on practice you can get, consider finding places to volunteer or intern with. Get with the nursing assistant training instructor and find out if they will let you spend some time in that room practicing as well. Also, some Red Cross locations offer practice testing materials. You can check here to find out more details from your local American Red Cross testing center. It is important to note that you need to complete CNA training that is approved by your specific state. Requirements for the CNA skills test will vary from state to state, so make sure you are familiar with your specific state’s requirements. Your state will have a list of the approved CNA course programs they recognize, so make sure you select a school that is recognized by your specific state. You can find out more information on your state’s requirements on our state by state CNA training pages. The number of questions on the exam and the time limit can vary from state to state. Another thing to point out is that not all states use the term ‘Certified Nursing Assistant’. In some states, this position is referred to as a ‘Nursing Aide’ instead. This could cause some confusion when you are researching things for your specific state, so just keep this in mind in the event you see it referred to as a ‘Nursing Aide’ instead. Once you pass your state issued CNA exam, you will then be a licensed CNA. In order to keep that license active, you may need to complete a continuing education course every two years. Whether or not you need to complete this course will be determined by the state you work in. Before paying for this course, check with your employer and find out if they offer continuing education subsidization. Most employers will end up reimbursing their CNA for this fee once they pass the continuing education course. You can find out more about continuing education on the CNA Zone website.